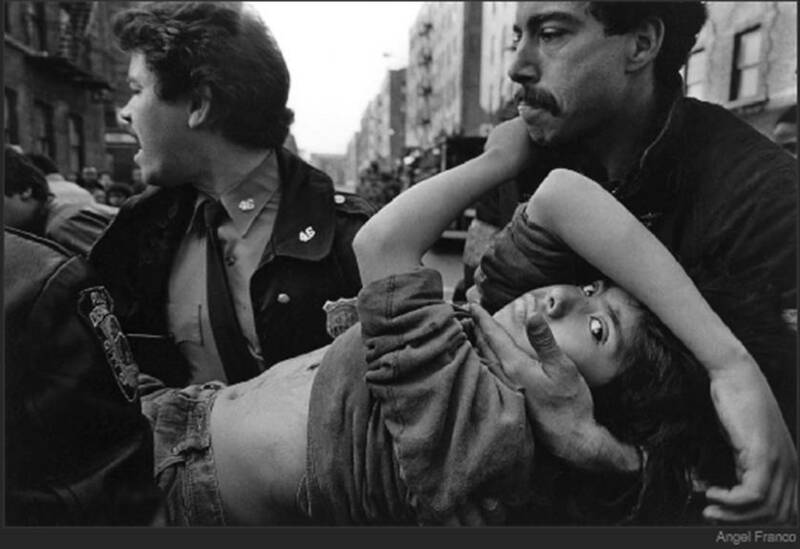 Through the always excellent New York Portraits, I found a link to the New York Times Lens blog and an interview of freelance photographer Angel Franco who followed police patrols in the Bronx between 1979 and 1984 and took chilling pictures of what he witnessed. New York then was nothing like New York now as it was at the height of the drug plague and the streets were extremely unsafe. The photos tell just that and it’s hard to even recognize our City in those scary shots that sometimes look like they were taken in a war zone. America had trouble believing the pictures when they were first published as the country was prosperous at the time and the violence and despair you can feel in the photos were at odds with the national mood.